The Barnum Museum is open from 11am to 3pm on Thursdays and Fridays. However, it is a unique and never-before-seen exhibition entitled "Recovery in Action!" When you come to the Museum, you must go around the back side of the historic, iconic building and enter through the modern gallery space attached to the People's United Bank. Here you will see all the artifacts that once were on display in an open format we like to call visible storage. Expert docents are available to give you a tour through the collect which is largely free of interpretive text and organized by function and format instead of theme. See all of the Wheeler furniture amassed in one corner, the marble statues standing tall in a group, and the sewing machines from Howe and Wheeler&Wilson together. And of course, hear the stories they all hold. Unfortunately, this beautiful historic building commissioned by P.T. Barnum himself is still under construction due to damage sustain by a tornado in June of 2010. When you come to visit us, know that the restoration of the building as our second priority - presenting our fabulous collection free to the public is our first! The Centaur of Tymfi is the best-preserved specimen of record due to preservation within a cool, dry cave at 1,900 meters elevation in the Tymfi Mountains of northwestern Greece. There were no other objects in the cave to indicate details of the creature’s history. The specimen was reported to the Archaeological Society of Argos Orestiko in 1998 and removed in 2003 to the Society’s laboratory in Volos where osteologists under the direction of Achilles Mitropoulus, the Society’s director, assembled the specimen in the upright pose. Professor William Willers, a zoologist and professor of anatomy at the University of Wisconsin, acquired the specimen in 2004 for the university after he was approached by members of the Archaeological Society about conducting further research on the specimen to authenticate it. 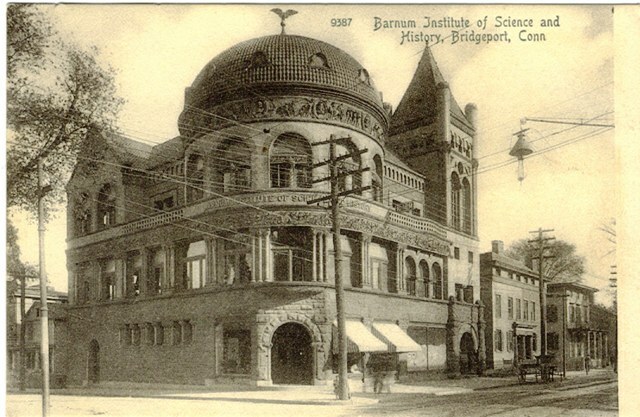 Willers, now retired from the university, states that the investigation remained inconclusive, and recommended that it go to The Barnum Museum, where experts from Quinnipiac University’s Bioanthropology Research Institute, and Connecticut State Archaeologist Nicholas Bellantoni, would be able to continue the investigation using new technologies. The Barnum Museum, recognizing the significance of this rare find, agreed to accept the specimen so that the investigation could continue. 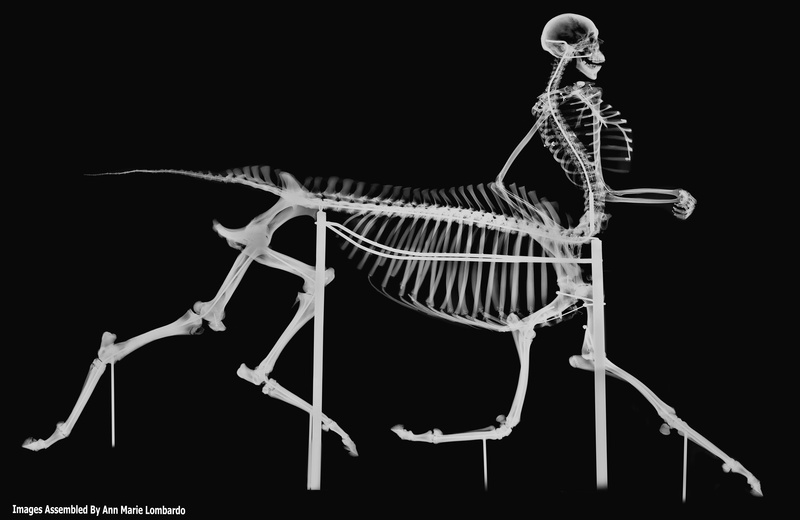 The centaur specimen will be unveiled on Tuesday, April 1 at 3 pm at a press conference held at The Barnum Museum. The press conference will take place in the People’s United Bank Gallery located at the rear of the museum’s historic building. The gallery is open to the public on Thursdays and Fridays from 11 a.m. to 3 p.m. Beginning April 5, 2014, the gallery will also be open on Saturdays from 11 a.m. to 3 p.m. throughout the summer. Admission is free but donations are welcome. For further information, call the museum at (203) 331-1104 ext. 100 Mon-Fri from 9 to 5 and Saturdays from 11 to 3, or check the web site www.barnum-museum.org. A museum is known by its collection and how it is displayed within an artistic, scientific or historical context. The Barnum Museum is unusual in that its building is one of its main artifacts and its collection contains a variety of artifacts relating to art, science and history. In honor of the 150th anniversary of the Civil War, The Barnum Museum presents two important virtual exhibitions. Heroes of the Home Front examines the changing and expanding role of women in the war efforts. Bridgeport and the Civil War looks at some important ways in which the city of Bridgeport took part in the struggle between the States. Both exhibitions contain detailed text researched and written by museum director Kathy Maher and are augmented by artifact slide shows. Currently, the virtual Barnum Museum has five main exhibits: Phineas Taylor Barnum examines the life and times of the famous entertainer, Humbugs & Curiosities showcases some of the oddities that led to the creation of the American Museum and the Greatest Show on Earth, Jumbo the Elephant looks at one of the beloved animals in Barnum’s traveling menagerie and the Egyptian Exhibit: Pa-Ib shows how Barnum’s own mummy teaches us about past history and present science. 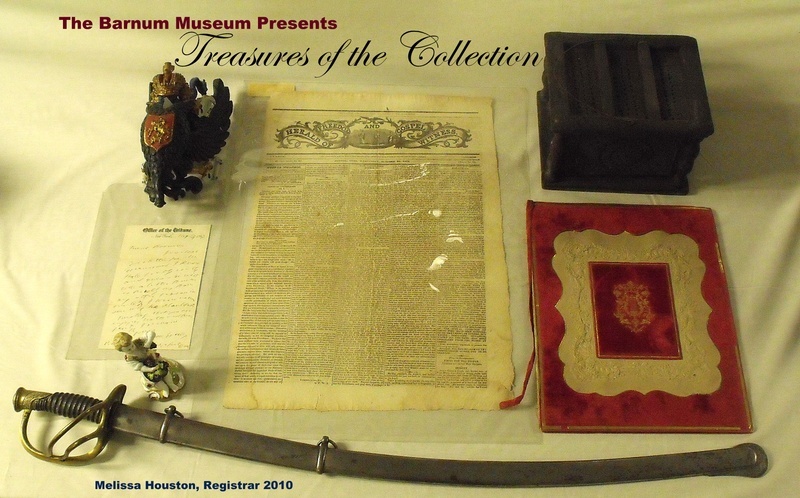 The "Treasures of the Collection" series highlights objects that are not displayed in the Barnum Museum but are of historical importance and interest. The short lectures serve to educate and illuminate the wide influence of P.T. Barnum's life and work. Featured last year were: an Imperial Russian Crest, a Civil War saber, a letter to Barnum from Horace Greeley, a Jenny Lind song book, the Herald of Freedom, a foot warmer, and a small Italian- style statue of Bacchus.